NIH funding has stayed at roughly the same level since 2003. (Bloomberg) — An effort to find new uses for drugs that have failed in clinical trials may offer hope for Alzheimer’s patients, a top U.S. health research scientist said. 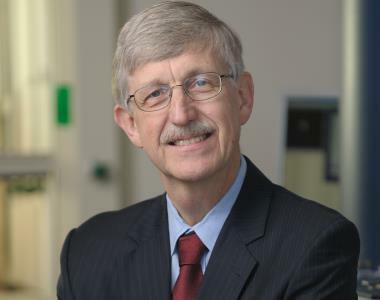 Research begun a year ago on a therapy targeting another disease “is looking pretty interesting” in Alzheimer’s, National Institutes of Health (NIH) Director Francis Collins said recently at a breakfast sponsored by Bloomberg Government in Washington. The NIH awarded $12.7 million to nine academic groups in June to help fund research in eight disease areas as part of a pilot initiative. Eight drugmakers, including New York-based Pfizer Inc. and Paris-based Sanofi, contributed 58 candidate drugs that had failed in some of the tests required by the U.S. Food and Drug Administration (FDA) and gone into the companies’ freezers, Collins said. Collins said he worked with the companies’ research and development units for three years to make the “unprecedented” partnership happen. The research will be made public for any scientist to use. Collins noted that the FDA approval rate is well under 1 percent for new drug development programs. The failure rate is 60 percent for drugs that reach mid-stage clinical trials, and still 40 percent for drugs that reach final-stage trials. NIH also is joining with pharmaceutical companies to study completely untested approaches to treating Alzheimer’s, diabetes, lupus and arthritis. Since 1998 there have been more than 100 attempts to develop a treatment for Alzheimer’s. All have failed. More than 5 million Americans have Alzheimer’s disease. As many as a half-million people in the U.S. may die from the disease each year. NIH has struggled the last decade to secure the government money necessary to pay for research. The agency’s budget rose to $27 billion in 2003 but has remained almost unchanged since then. “We are in a real squeeze,” Collins said.